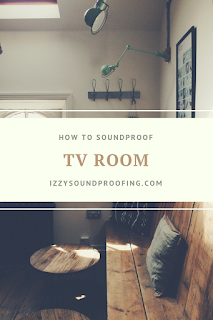 Soundproofing a TV Room is perhaps the best thing that you can do to get rid of the airborne noise. I'll not deny the fact that household appliances are also the culprits in making the room noisy. Gonna are days when the entire family used to sit together and watch the television shows. Nowadays every member of the family has different taste, and each of them needs personal space. If you've kids or teenagers in your home, then they will definitely watch movies, play video games, and listen to the romantic songs. This is the story of every house across the globe. Of course, I'm talking about those families who can afford a television. Moving further, I'll take you through the step by step methods that can help you to get rid of unwanted television noise, and also create a noiseless ambiance. After you've read this article, you'll be able to soundproof your television room, and thus can watch the blockbusters at the volume of your choice without disturbing the family members and neighbors. The methods discussed in this article are cost-effective, and you can start with as low as a hundred dollar. There is a common misnomer that soundproofing a room is very costly. In some sense, it's correct but I'm NOT here to talk about all the costly methods available on the market. In short, I'll talk about the methods that will give you results, and even a teenager can complete the project on his own. Doors and windows are the two components of a room that is highly prone to the noise. If you examine the door thoroughly, you'll find a good number of small gaps between the door and the frame. If the door is a wooden one, then you can find small gaps and cracks as well. Getting rid of these gaps, holes, and cracks can do half of your work. Once you've closed all these gaps, you can expect a tangible difference. There are lots of soundproof materials available on the market for closing the gaps. However, my favorite is Weatherstrip. It is NOT only cheap but also does the work efficiently. I've been using it and recommending from quite a few time now. Once you've got the weatherstrip on your table, you can start measuring the door frame and then cutting the weatherstrip of the same dimension. To enhance the outcome, you can also use non-reducing door covers. Another advantage of using a door cover is that it will insulate your room. If you've got a budget constraint, then you can cover the door with the moving blanket. The trick here is the thicker the blanket the better will be the noise dampening capability. On the downside, the soundproof blankets aren't elegant and good looking ones. So, I'll recommend you to use it for the temporary purpose only. Once you're done with watching the television, you can uncover the door. Walls can be a big problem for the American and Europeans because most the walls are thin and not acoustically treated. There are many ways to prepare the wall against the noise. You can add a layer of drywall, cover the wall with the blanket, and can also hang acoustic foam panels from the walls. However, I'll recommend you to add a layer of drywall. This is a permanent solution, and you can do it yourself. You just need to use Green Glue sound dampening adhesive to add a layer of drywall. Adding mass will increase the density of the wall and thus improves the sound dampening capacity of the wall. If you're looking for a cheap method, then hanging Acoustic Foam Panel can be of great help. These panels will reduce the echoes, vibrations, and reverbs. If you're staying in an apartment with a shared wall, then these foam panels can help you by preventing you from reconstructing the wall. However, if the intensity of the noise is very high, then this method alone will not be able to solve your problem. In that case, adding a layer of drywall will ONLY work. If you are tight on the budget, then the cheapest and effective solution for you can be covering the wall with the sound dampening blankets. Again, how effective it will be a question mark. The performance of the sound dampening blanket depends on the thickness of the wall to a large extent. The thicker the wall the better will be the noise dampening effect of the blankets. [Related]: How to soundproof an existing wall? I would like to mention here that for low-frequency noise nothing works better than the bass traps. It is also important to understand that the low-frequencies are the toughest to dampen, and they have the capability to travel through solid materials such as concrete walls and floors. Similar to the doors, it's really important to soundproof the windows. Needless to say, windows also have lots of gaps and cracks. The worst part is the presence of thin glasses in the windows. Sound waves can easily exploit these thin glasses for the to and fro motion. The solution depends to some extent on your budget. If you don't have any problem with the budget, then the best thing that you can you do is to buy a soundproof window and replace the older one with it. If you are the person who loves the DIY way. Then, you can make a window plug on your own. Trust me, you don't need professional help at all. There are loads of videos available on youtube to guide you. Another important, as well as effective method, is using sound dampening curtains. These curtains are made of sound absorbing materials and absorb the noise in the thread. It is advisable to but curtains with grommets installed. The thicker the curtain the better will be the performance. Bonus Tips: Sound Dampening Floor: You can soundproof the floor of the TV room to prevent the noise from going downstairs. The process is simple and you can execute it on your own. I've written a detailed article that will help you to execute the process. 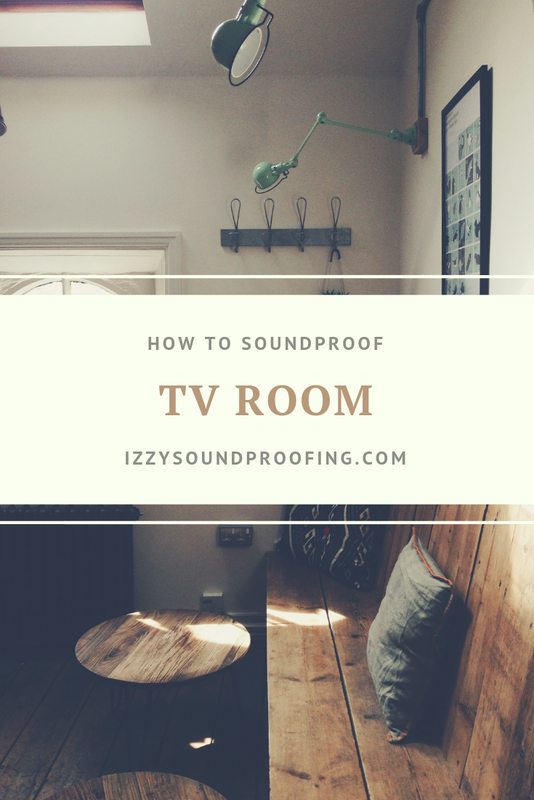 I hope you would have liked this article and it will help you to soundproof your tv room. All the methods mentioned are cost-effective. However, if you are using some other methods then let us know in the comment section.